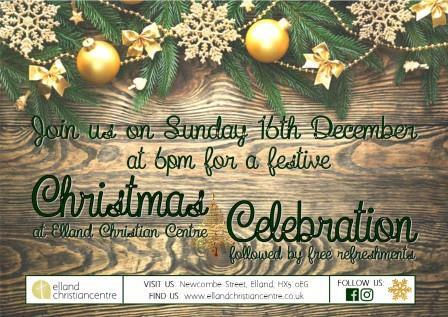 Elland Christian Centre, on Newcombe Street will be holding the annual carol concert on Sunday 16 December, 6:00pm. There will be a mix of traditional carols, choir items and contemporary band items followed by refreshments. Entry is FREE. This entry was posted in Get Involved / Have Your Say.